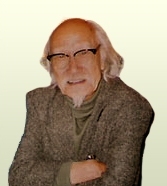 Suzuki Seijun was a Japanese filmmaker, actor, and screenwriter. His films are known for their jarring visual style, irreverent humour, nihilistic cool and entertainment-over-logic sensibility. He made 40 predominately B-movies for the Nikkatsu Company between 1956 and 1967, working most prolifically in the yakuza genre. His increasingly surreal style began to draw the ire of the studio in 1963 and culminated in his ultimate dismissal for what is now regarded as his magnum opus, Branded to Kill (1967), starring notable collaborator Joe Shishido. Suzuki successfully sued the studio for wrongful dismissal, but he was blacklisted for 10 years after that. As an independent filmmaker, he won critical acclaim and a Japanese Academy Award for his Taishō Trilogy, Zigeunerweisen (1980), Kagero-za (1981) and Yumeji (1991). His films remained widely unknown outside Japan until a series of theatrical retrospectives beginning in the mid-1980s, home video releases of key films such as Branded to Kill and Tokyo Drifter in the late 1990s and tributes by such acclaimed filmmakers as Jim Jarmusch, Takeshi Kitano, Wong Kar-wai and Quentin Tarantino signaled his international discovery. Suzuki continued making films, albeit sporadically. In Japan, he is more commonly recognized as an actor for his numerous roles in Japanese films and television.